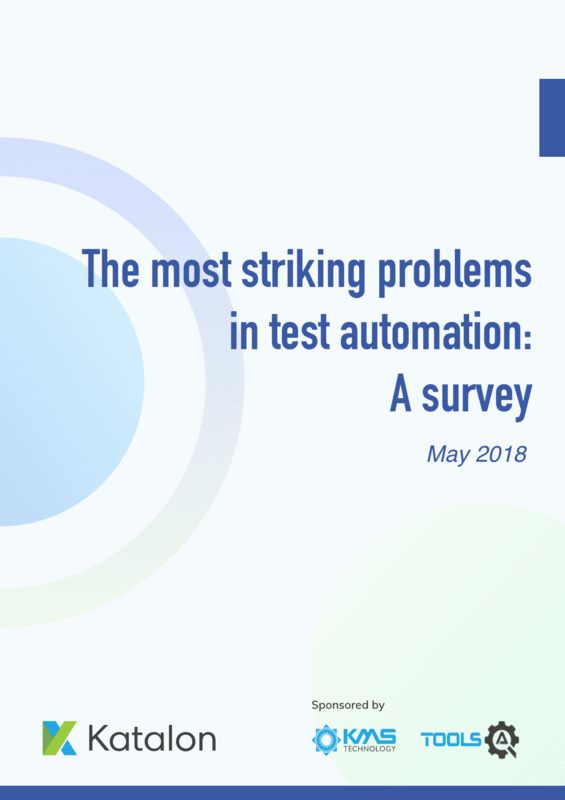 Katalon Studio and KMS Technology conducted the survey with ToolsQA as the media sponsor in April-2018 to understand and offer evidence on challenges being faced by worldwide test professionals and their organizations with test automation. Want to kickstart the test automation easily? Download Katalon Studio now! It's completely free!